Traveling cats spotted in the streets of Oslo, Norway. 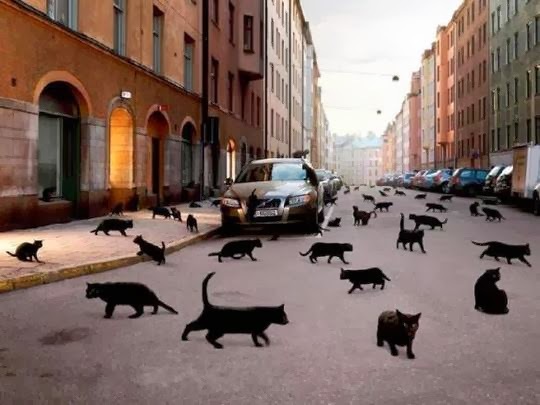 I can't imagine a street full of black cats...anywhere. That's incredible! Is that photoshopped or something?!?! Man, must be a cat convention in town! Congrats on the award -- well-deserved! Wow, what a cool picture! Is it Photoshopped? 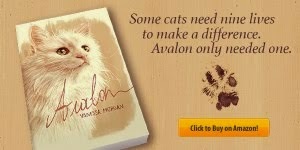 Thank you that was so kind and we pop into tomorrows post and onto our awards page with pride. nice one. La photo c'est un montage ou la réalité ? Un peu hallucinant tous ces chats noirs. J'aime les chats noirs. Great picture. We are all curious obviously. Me, too. Is is for real or PS? That zijn er erg veel katten en Gefeliciteerd! Wow! Wonder where they all came from?? And congrats on your award! Wow! Where did all those black cats come from? Concats on your award and for nominating me too. I'm honored! I have to get mom blog about this. She's been really busy with work and... Uh... Helping me with cat scouts. 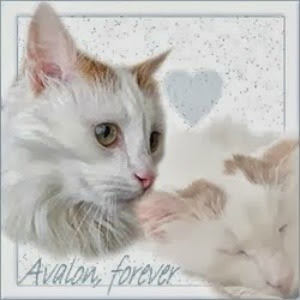 OMG I found your blog on Feature & Follow, and had to send your blog to my cat obsessed friend lol. Wow! That's a lot of black cats! !